An interim commission of Ukraine’s parliament which investigates the activities of the capital’s administration has unanimously ruled to have Kiev’s Mayor Leonid Chernovetsky psychiatrically examined. 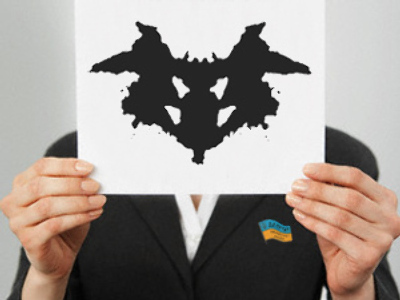 The commission’s head Kirill Kulikov, member of Our Ukraine – People's Self-Defense party, told proua.com that Kiev’s mayor has access to confidential documents and doesn’t have a certificate from a psychiatrist as the law demands it. He added that the authenticity of the certificate the mayor produced also gives rise to doubts. 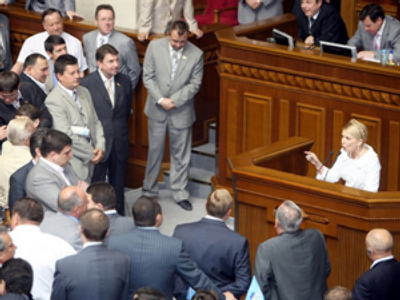 Web newspaper Ukrainskaya Pravda cites Yulia Timoshenko Bloc deputy Vladimir Yavorivsky as saying that the decision was taken as Chernovetsky’s sanity is widely being discussed among the capital’s population. Yavorivsky believes that Kiev’s mayor himself should be interested in carrying out that examination in order to stop rumours. “If he is absolutely sane, we’ll make a corresponding announcement. It is necessary to stop all speculations,” Yavorivsky stressed. At the same time, the deputy added the commission has not yet decided who must conduct such an examination. Nevertheless, he said, it should be doctors independent of Kiev’s authorities. The interim commission has been actually established to investigate if there have been any violations of the constitution by the Kiev City Council and its executive body. Chernovetsky’s First Deputy Irena Kilchitskaya is sure no commission will find any violations. The behaviour of Kiev’s mayor has long been labeled ‘eccentric’. Chernovetsky and his deputies took in tow the zoo’s animals – one animal per official. As for the city’s human inhabitants who obviously are not under his special care, Chernovetsky offered to introduce fees for free-of-charge health care, considerably increase prices for housing services and make a special tax for bachelors, Ria Novosti news agency says. Also, Chernovetsky tried to make people pay to enter Kiev’s cemeteries. His proposal didn’t succeed, but it is not the only way to fill the capital’s coffers. Currently, Ukrainians who want to meet Leonid Chernovetsky must pay $100,000 for the opportunity. Chernovetsky’s conflict with Defense Minister Yury Lutsenko has added to the mayor’s ‘fame’. Last fall the minister claimed Chernovetsky may be taking drugs. The mayor didn’t leave it unanswered and subsequently accused Lutsenko of being an alcoholic, file.liga.net says. After that, accompanied by journalists, Lutsenko went to a hospital to undergo tests, and Chernovetsky went to a stadium to show off his physical prowess.